Kenneth Rijock's Financial Crime Blog: SHOULD YOU TREAT ALL MALTA CBI PASSPORT HOLDERS AS HIGH RISK ? SHOULD YOU TREAT ALL MALTA CBI PASSPORT HOLDERS AS HIGH RISK ? A review of publicly available information concerning the approximately 4000 Malta Citizenship by Investment (CBI) passports issued in 2015 and 2016 indicates that the vast majority of the applicants are either from the Middle East, or from Russia. Is this sufficient grounds to classify all Maltese CBI passports as high risk, for compliance purposes ? (1)Transliterating the names of Russian and Arab applicants from the Arabic and the Cyrillic alphabets into the Latin Alphabet and English language is not an exact science, and there are multiple alternative spellings that are acceptable. This means that the correct name of an applicant could be, accidentally or intentionally, translated into a clean alias not recognizable by high-risk databases as the original bad actor. One expert estimates that there are no less than 32 acceptable Western spellings of Arabic names, as the alphabets do not have all the same letters. (2) Is the Middle East applicant OFAC sanctioned under his or her true name ? Are they Iranian nationals using an Arab alias to escape detection ? (3) Both the Middle East and Russia have systemic official corruption, meaning that anyone with cash can easily obtain a legitimate, official proof of identity that features a well-crafted, and totally clean, alias. (4) The Malta CBI program appears to not look very closely at the backgrounds of its applicants. 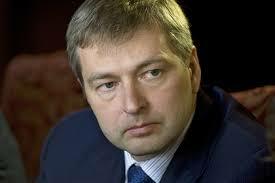 Anna and Elena Rybolovlev, the grown daughter and former wife of the recently-arrested Russian billionaire (arrested in the Principality of Monaco on corruption charges) Dmitry Rybolovlev obtained Malta CBI passports in 2017, notwithstanding that Dmitry spent a year in a Russian prison on murder charges, which were only dismissed when a third-party magically appeared to take the blame. Candidly, I do not trust any of the Malta CBI passports, and only the names of the successful applicants are released, not their photographs. Without those images, we are unable to verify their identities to the exclusion of a reasonable doubt. 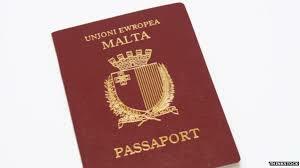 Therefore, it is necessary to classify all Malta passports you see as high-risk, unless you can prove that the holder was born there, and is thus not a CBI passport owner.